I Googled the term “Self Awareness” and got 300,000 search results. It’s a term that gets thrown around quite a bit. But, like many phrases that are tossed about in every day language, the actual meaning is lost on some. 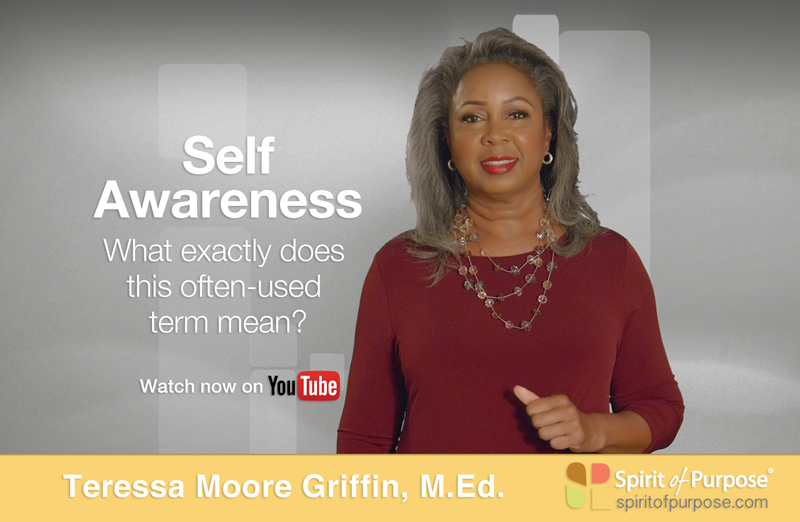 People may nod in agreement when they hear it, but do they really know what it means to be self-aware? Do you really know what it means? Oxford dictionary says it is, “conscious knowledge of one’s own character, feelings, motives, and desires…” That’s a good definition for the purposes of this video. Self-awareness is tricky. It requires the ability to know where the line is drawn between our real and our ego-driven selves. A lot gets in the way of really understanding one’s true self. Our emotions, our tolerance of ambiguity, experiences we can and can’t recall, messages we take in consciously and unconsciously. The number of things that influence us is staggering and growing. A story about “Sonic Seasoning” on American Public Radio’s Marketplace makes the point about the staggering number of influences. According to the story, research has revealed that music playing in the background can influence how we experience the taste of our food. Food can taste sweeter if we’re listening to high-pitched sounds like wind chimes. If that’s possible, imagine how many other ways we unconsciously react to stimuli from the world around us. It’s not likely that we will ever completely master self-awareness. That would be like counting every drop of water in the ocean. But the more we tune in to our triggers and reactions, the better equipped we are to consciously choose the outcomes in our lives. To begin to peel away the layers that hide our true selves start with behaviors that signal a lack of self-awareness. Often times, we exhibit behaviors that reveal how un-self-aware we actually are. A 2013 Inc.com article suggests that when we resort to the following 7 behaviors and mindsets, we’re showing the world that we’re not as self-aware as we may think. We are all guilty of these behaviors at one time or another. The secret is in knowing that, exploring why we’re reacting as we are, and redirecting our behavior to align with what will help us be our best self and achieve our goals.